"How do I become a Gemologist? ", is one of the most frequent questions I come across when searching through the web forums. The answer is easy. There is much hard work and constant study involved in becoming a qualified gemologist. But I am not trying to dissuade you. Studying gemstones can open doors and lead you to opportunities that you never may have thought about before. Gem mining for example is usually based in some of the most exotic locations in the world and designer jewellery stores are positioned on some of the high streets of the most fashionable cities. If your gemology work leads you to travel then our gem 'capitals' map locations might be of interest to you. Gemology or 'gemmology' as is the spelling in the states covers a huge range of fields. Some of which include gem cutting (lapidary), jewellery design, gem grading and identification, wholesaling, buying and selling, development of rough and many more. To find out more about studying gemology you may find some of the pages on this website useful. My personal interest in gemology is gemstone identification and gem grading. 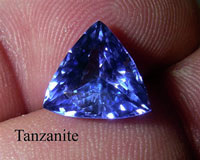 Being able to work with beautiful gemstones is most satisfying and can also be financially rewarding too! To help you get started in gem identification you can obtain tutorials from our website. Although financial rewards do attract many new young gemologists, if you have an interest or are curious about gemstones then you are in good standing for that curiosity to grow into a passion. If you have a passion for gemology then the financial rewards will hopefully follow in due course. Whilst studying, your spending budget might be limited. Very affordable and good quality gem testing equipment is available from Gemlabtools. Once you have your home office or lab set up you can buy gemstones from the internet at very affordable prices for practicing your skills with. It takes many years of study and practice to become a qualified gemologist and we know it can be difficult when first starting out. For this reason gemlabtools has put together a host of information and useful links, so we hope you will bookmark us so you can easily find us again the next time you are looking for hints and tips.